Vandals sprayed offensive graffiti on the Lord of the Mountains Church in Dillon on Monday night. In October, the Summit County GOP reported that their Trump signs were being repeatedly pulled up in the night. And in early November, unknown vandals threw a rock marked with an alt-right symbol through the window of a Frisco home with Clinton signs. 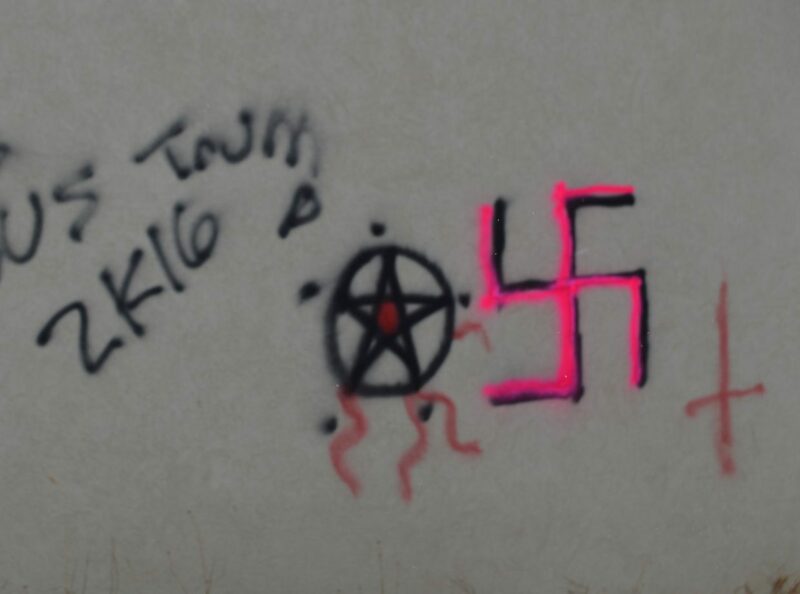 The next week, after the election, a house in Breckenridge was targeted with pro-Trump and phallic symbol chalk graffiti. Pastor Liliana Stahlberg said that while Lord of the Mountains is a progressive, ecumenical church, she thinks the graffiti was likely petty vandalism rather than an attack on the church itself or its ideals. The church hosts over 35 community groups and is also a gathering place for other denominations, including the Jewish and Buddhist communities.